Your Personal Shopper in Milan, is a stripe tee addicted, it’s so simple and chic! We probably all have it in our closet, it’s definitely a MUST HAVE! Il tuo personal shopper a Milano ha una dipendenza per le t-shirt a righe, creano uno stile cosi semplice e chic! Probabilmente tutte noi abbiamo almeno una nel nostro armadio, decisamente un MUST HAVE! 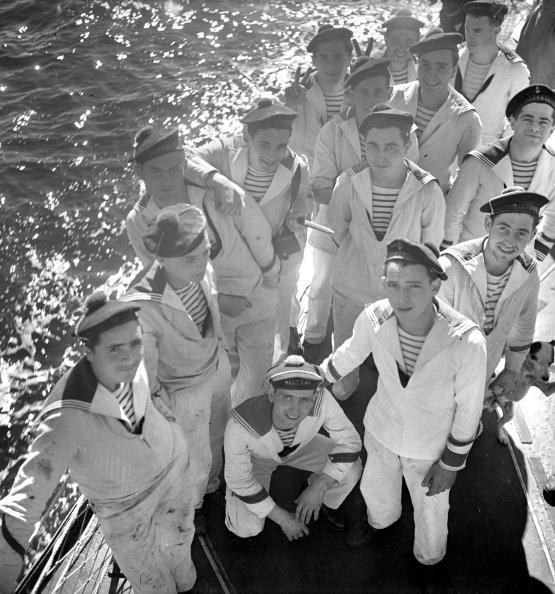 Typically known as a cotton top with blue sailor-like stripes, the style was introduced in 1858 as the uniform of the French navy in Northern France. The original design had 21 stripes, one for each Napoleon Bonaparte’s victories and the distinctive stripes made it easier to spot wayward sailors who had fallen overboard. Conosciuta come il top in cottone con righe blu, questo stile è nato nel 1858 come uniforma per la marina francese nel nord della Francia. L’originale aveva 21 righe, una per ogni battaglia vinta da Napoleone Bonaparte ed erano un segno distintivo per vedere meglio i marinai che cadevano nell’acqua. 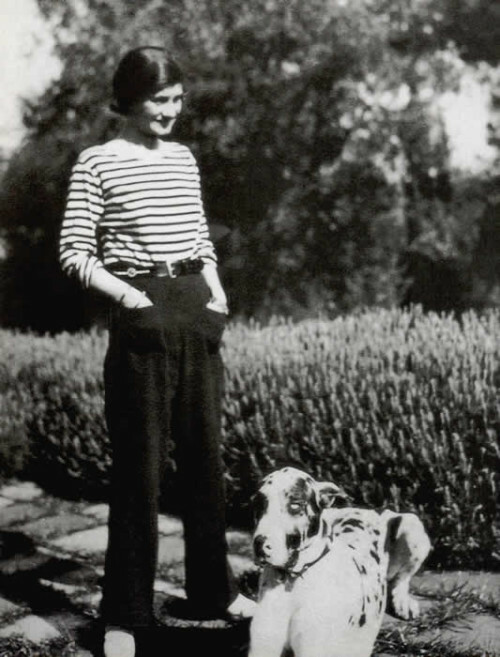 Coco Chanel, after a trip to the French coast took notice and had a serious fashion crush. She was so inspired that she started wearing it and put stripes into her 1917 nautical collection. Coco Chanel, dopo un weekend sulla costa francese, si è letteralmente innamorata di questo stile. E’ stata cosi ispirata che lei stessa ha iniziato a indossarla e ha inserito le righe nella sua collezione marinaresca nel 1917. 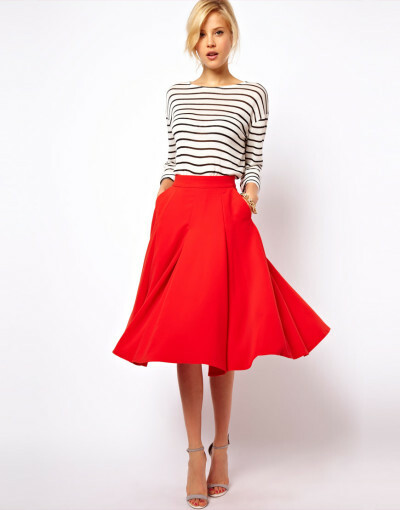 The Breton striped shirt t’s definitly a basics go, as necessary as a black blazer or a pair of blue skinny jeans, (see 9 items every woman needs in her closet) and it’s so versatle. 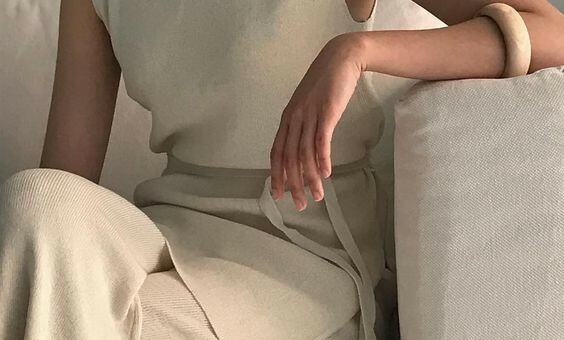 During time was worn by struggling artists like Picasso, movie stars like James Dean, modern-day It-girls like Olivia Palermo, the styling have evolved over time, but its strong effect has remained the same, simple and chic! Il top a righe è decisamente un capo da avere, necessario quanto il blazer nero o i jeans skinny ( guarda il post 9 capi di abbigliamento che ogni donna dovrebbe avere nel suo armadio) ed è cosi versatile. 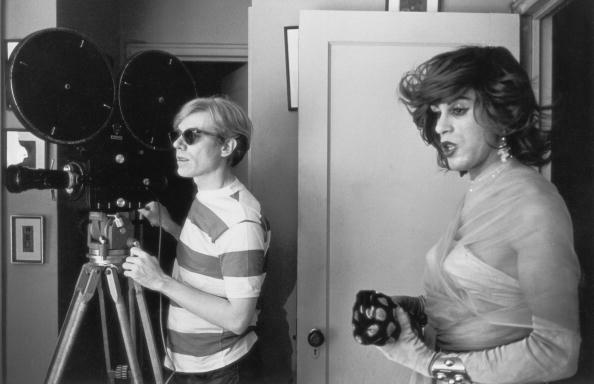 Negli’anni è stato indossato da artisti come Pablo Picasso, star del cinema come James Dean, it-girls moderne come Olivia Palermo. 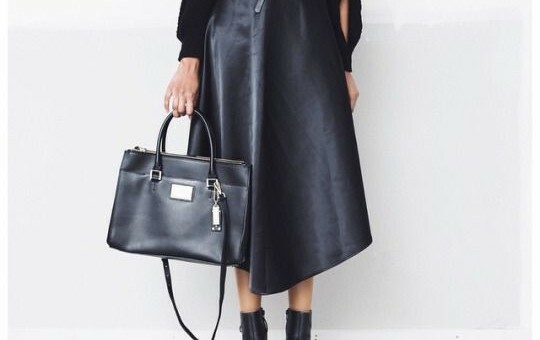 Lo stile è cambiato negli’anni ma l’effetto è rimasto lo stesso, semplice e molto chic! The breton stripe was worn for the very first time first in a Hollywood film in 1953, in “The Wild One” starred Marlon Brando and Lee Marvin. 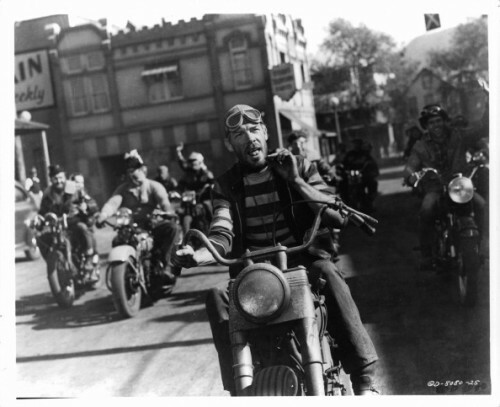 In the picture wee see a group of men and Lee Marvin ride motorcycles. 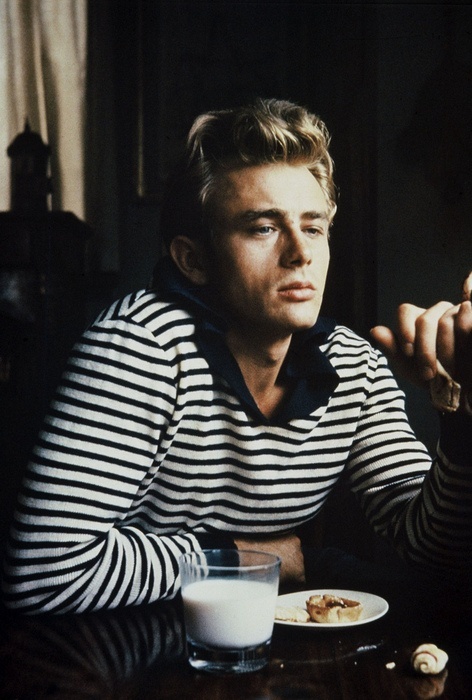 James Dean wearing a Breton striped top in the movie “Rebel Without a Cause” in 1955. WOW! 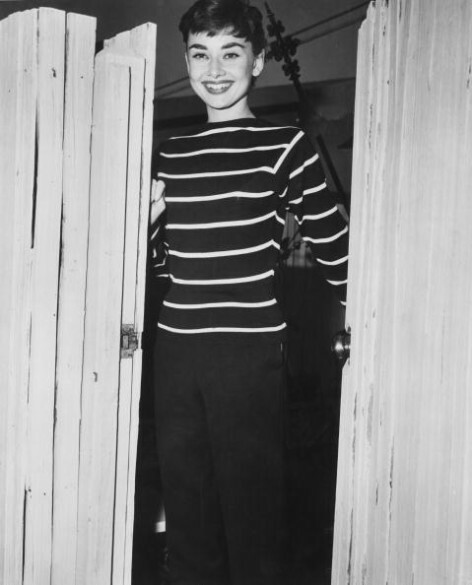 1956 ‘Funny Face’, Audrey Hepburn was wearing black pants, black turtleneck, and a Breton Tee!!! 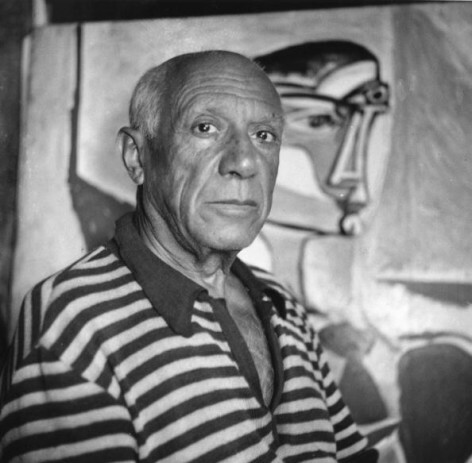 Pablo Picasso was frequently photographed with his Breton striped tee. Brigitte Bardot frequently wore a Breton striped tee. 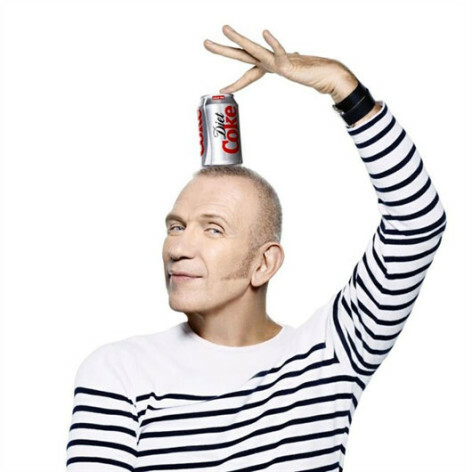 Jean Paul Gaultier become a Breton stripe ambassador, using the style heavily in both his men and women’s collections. 1. Mixed with clashing prints for a chic effect. 2. With white skinny jeans and denim jacket as seen at #sincerelyjules love her! 3. With blue skinny jeans, red pump and big sunnies as seen at Miranda Kerr.